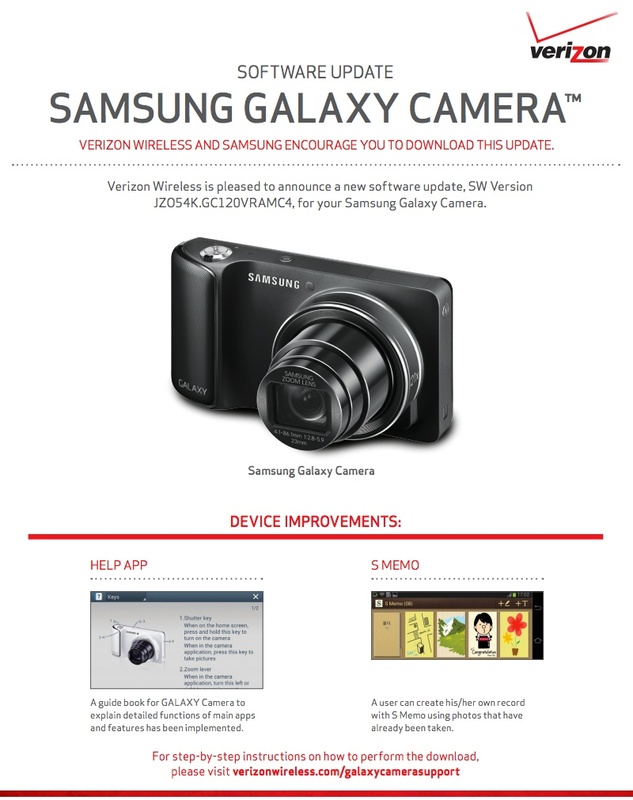 Over the weekend, our Samsung Galaxy Camera from Verizon received a massive 180MB update, but a changelog was missing at the time, leaving us wondering what was included. The changelog for build VRAMC4 is now live, with full details on the update. 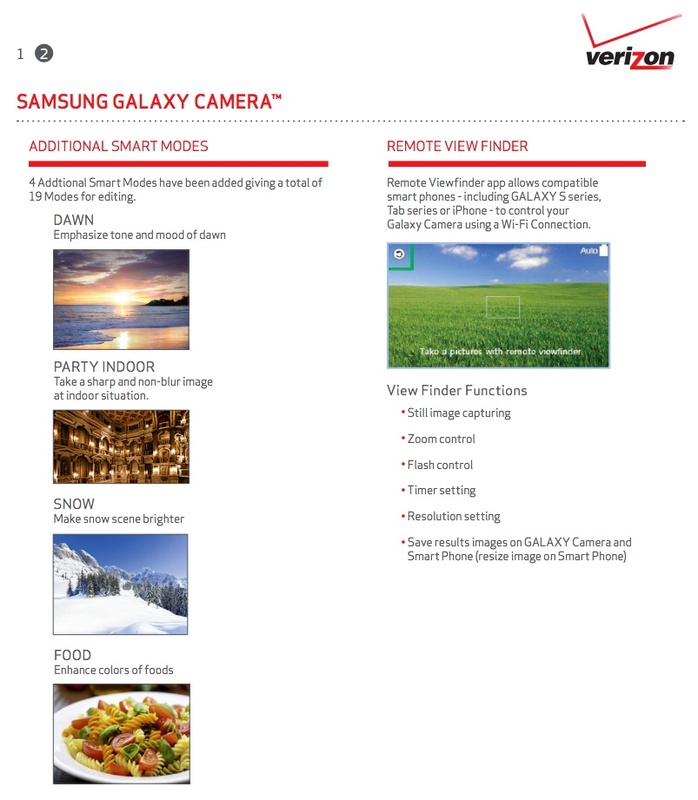 After downloading and installing the update, you’ll find Samsung’s S Memo and Help as parts of the camera’s app list. Along with these new apps, you’ll also be able to use new Smart modes called Dawn, Party Indoor, Snow, and Food. And finally, the update introduces a remote view finder function, giving you the power to control your camera through a Galaxy S phone, iPhone, or Galaxy Tab device. The update is 179.8MB in size.